Genetically modified fish is now being sold in Canada — but without any labels, who knows if you are buying it? If you've had salmon on the grill at all this summer, there's a chance it was from a genetically modified (GM) fish. 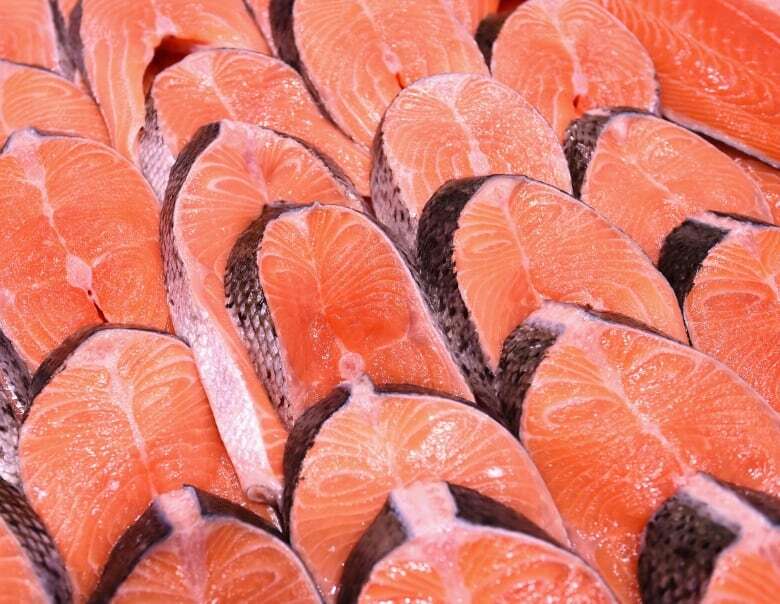 In early August, American company AquaBounty Technologies revealed that it's sold more than 5 tonnes of GM salmon in Canada since it was approved for sale here in May 2016. It's the first time genetically modified animal products have been sold to the public anywhere. 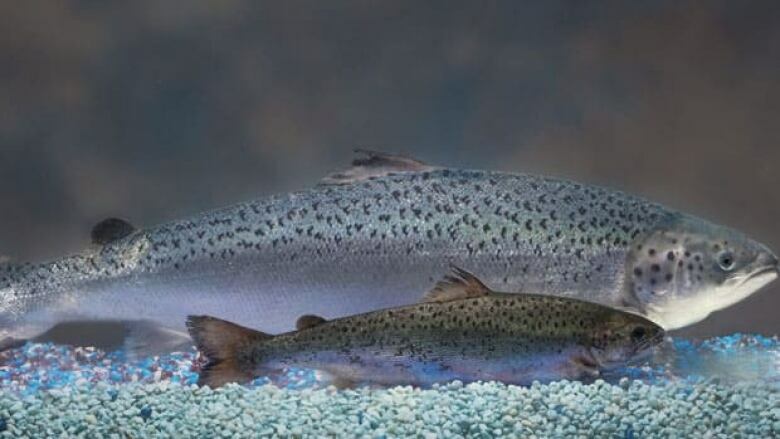 Genetically modified food doesn't require special labelling in Canada, and the company hasn't said where its fish is sold — leaving Canadians in the dark about whether they are consuming GM fish. Garth Fletcheris the co-inventor of the genetically modified salmon. It's an Atlantic salmon that has been adapted with the genes of two other fish to make it grow twice as fast as conventional salmon. He tells The Current's guest host Megan Williams that it took nearly 30 years to go from the idea to the marketplace, and assures people it's safe to eat. "I eat it myself … but the main thing is it's not up to me to say it's safe. It's a regulatory body. So Health Canada has approved it as being safe to eat. And so, of course, [has] the United States FDA Food and Drug Administration. So what more can I ask?" But not everyone is sold on genetically modified food. A recent Angus Reid poll released suggest fewer than two in five Canadians say GMO is safe to eat, and 83 per cent think there should be some kind of mandatory label for genetically modified food at the grocery store. Several major grocery chains confirmed they do not carry the GM fish product, including Loblaw's, Metro, Sobey's, Costco, IGA and Wal-Mart. Lucy Sharratt, a coordinator for the Canadian Biotechnology Action Network, is critical of the lack of transparency, leaving Canadians to eat a GM product without them knowing. "We are troubled that this precedent-setting technology and product has entered the market at this time and in this way where the reality is Canadians who've walked into their grocery store or restaurant and bought Atlantic salmon will have eaten it unknowingly — and some Canadians may want the choice not to." She tells Williams that after 20 years of polling there are many concerns Canadians have, "including ethical and religious concerns over the environmental risks and corporate control." Sharratt questions the assurance that there are no health concerns when eating genetically modified salmon because Health Canada does not do its own testing. "Our government doesn't test these genetically modified foods. Instead the government relies on data information that's provided by the company," she explains to Williams. "So it's not just in the grocery store that there's no transparency around genetically modified foods. At almost every step in the regulation of these products, there is not transparency. The information is kept confidential," she says. "And so we really do have many questions about what kind of information companies are producing to demonstrate safety." "We were pleased with the outcome and the customers who purchased our salmon were very pleased, saying that our salmon was very high quality in terms of appearance, texture and taste." This segment was produced by The Current's Willow Smith, Julian Uzielli and Vancouer network producer Anne Penman.